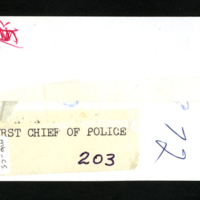 "The city hired Alva "Al" Pitts from Valley Center as "Chief of Police" with Wiens as officer. Pitts served from 1967-1969 when Valley Center lured him back" (Bandy, 74). 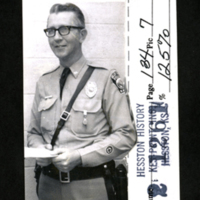 unknown, “Alva "Al" Pitts, first chief of police,” Hesston Public Library, accessed April 19, 2019, https://hesston.digitalsckls.info/item/1356.